So I was reading Brian Dean’s Data-Driven Guide to Creating Viral Content for the umpteenth time, and got inspired to do a similar article for landing pages. Brian’s article gave data-driven, stats-backed, techniques for creating viral content. I decided to create a similar post that provided the same level of data-driven techniques for creating high-converting landing pages. I've scoured the web for the strategies that have performed best in numerous tests and case studies. In this article, I’ll show you 14 data-driven techniques to optimize the conversion rates of your landing pages (and how you can implement them). Now let’s get into the logistics. I’m going to explain how to put each data-backed strategy into action. I'll also provide a number of example landing pages to help illustrate each point. 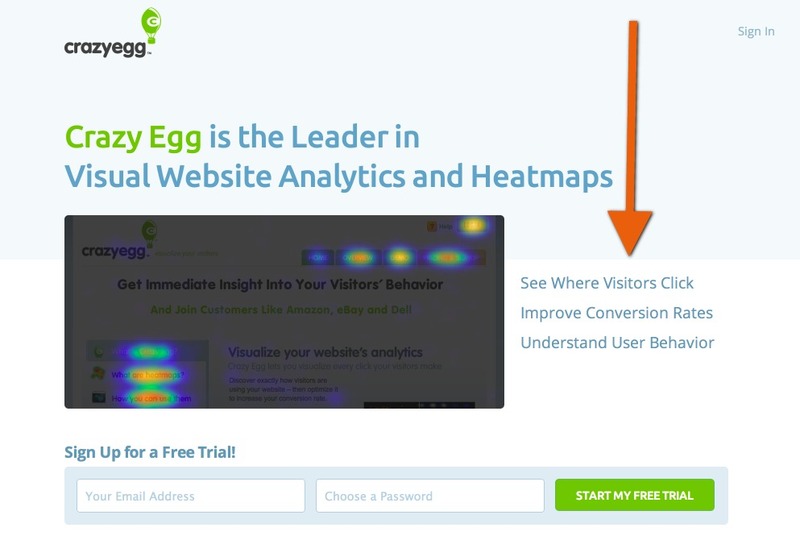 (If you do want some more theory check out our guide to conversion optimization psychology). Small changes in your landing page's headline can go a long way. A study by Conductor revealed that almost two-thirds of people prefer the first letter of every word in the headline to be capitalized. There are a few different ways to capitalize your titles, depending on which style guide you go by. When designing your landing pages, you should always be consistent and use the same style guide's guidelines for each one. Landing Page Design Tip #2: Make your copy scannable (no paragraphs, please). Your landing page and its content should be easy for your web visitors to comprehend - and bullet points make it easy for visitors to consume landing page copy quickly. Dr. Jakob Nielsen (Nielsen Norman Group) ran a test where he removed unnecessary information and summarized it in the form of bullet-points. He increased usability of a web page by 124%. This show us that information is more easily consumed by cutting down and chopping up your copy into bite-sized bullet-points. What’s more is Unionen tested using a bullet-point list against a paragraph of text to outline their benefits and the bullet-point list resulted in a 15.9% improvement. Tip: Bullet-point lists are great for outlining the benefits of your landing page’s offer - try outlining 3-5 benefits per landing page. Benefits are different than features - they are the result of the features of your product or service. Landing Page Design Tip #3: Incorporate real photos not stock photos. 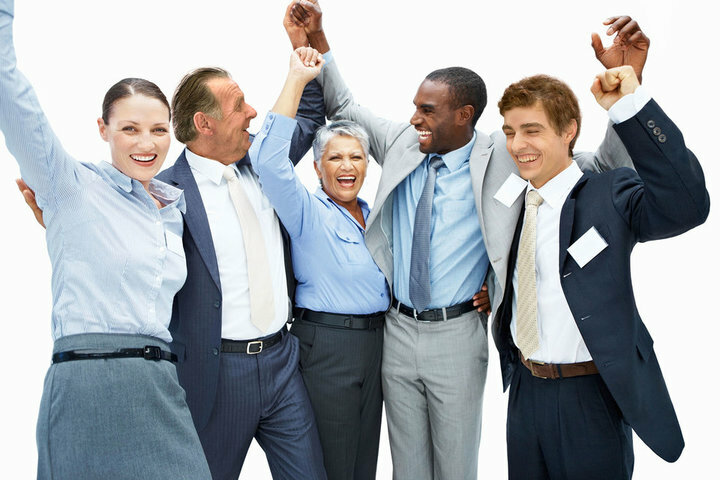 There have been multiple studies and tests done on using stock photos vs. real people photos - and real people conquer. Take a look at this test done by 160 Driving Academy. They tested a stock photo of a man driving a truck against a photo they took themselves of a student outside one of their trucks. They achieved not only 161% more visits to the page but also a registration lift of 38.4%. If it’s a product page, feature a photo of the product. Even if it’s just the product. Your visitors can tell the difference between a stock photo that used throughout the internet and your own photos. Real images evoke trust. Stock photos decrease the trust your landing page visitors have, as they look staged. Users would rather have you feature a product photo or a close up of your face than a photo you downloaded off of Shutterstock. Landing Page Design Tip #4: Use an explainer video on your landing page. Wondering what an explainer video is? They simply detail a company’s product or service in a quick yet informative video. They tend to convert well on landing pages. In fact, some sites claim their conversion rates increased by as much as 144% with the addition of an explainer video on their webpage. This is because explainer videos can get a lot of information across in a short period of time, explaining concepts and increasing the trust your landing page visitors have in your business. Crazy Egg has a pretty well-known explainer video. 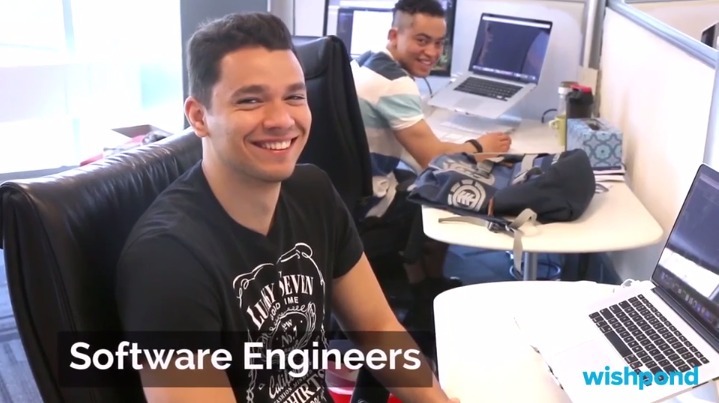 This 2 and a half minute video works nicely because it outlines the solution to their clients problems with analytics tracking tool. They also talk about how they understand and can alleviate their client’s pain points. Landing Page Design Tip #5: Mention your offer in your call-to-action (CTA). If you’re filling out a form on a landing page, don’t you want to know exactly what you’re filling out? Of course you do. 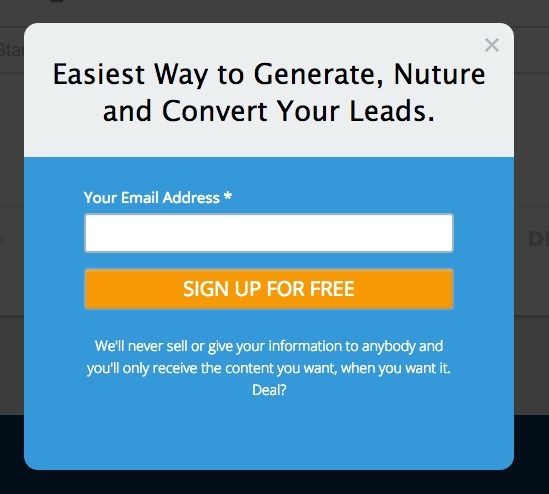 CTA buttons that describe what your leads are agreeing to convert better. Hubspot analyzed 93,000 CTAs over the course of a year, and found that calls-to-action (CTAs) targeted to users convert 42% more than untargeted CTAs. A targeted CTA is a call-to-action that is specific to the offer on your landing page. It’s more specific than just using one word such as “submit” which doesn’t address what you will be confirming when you fill out the form and press the button. For example, look at these CTA button changes made by CanaDream. “Get RV Rental Pricing and Availability Now!” is much more descriptive than “Go” and explains what the landing page visitor will get when they fill out the form. When crafting your CTA copy, remember to use short, commonly understood, action-oriented words. Landing Page Design Tip #6: Optimize the placement of your call-to-action. Where you place your call-to-action (CTA) on your page can dramatically affect your conversion rates. 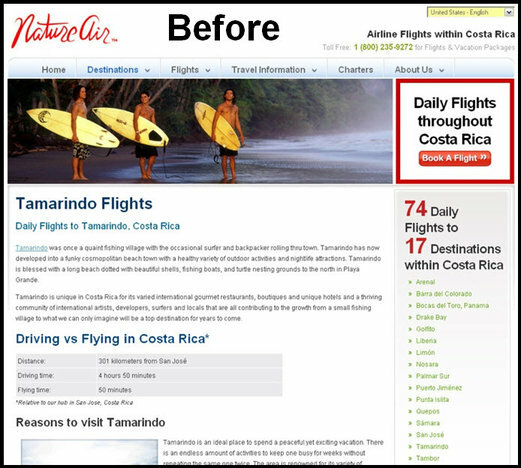 Nature Air increased landing page conversions by 591% by testing where the CTA appeared on their landing page. 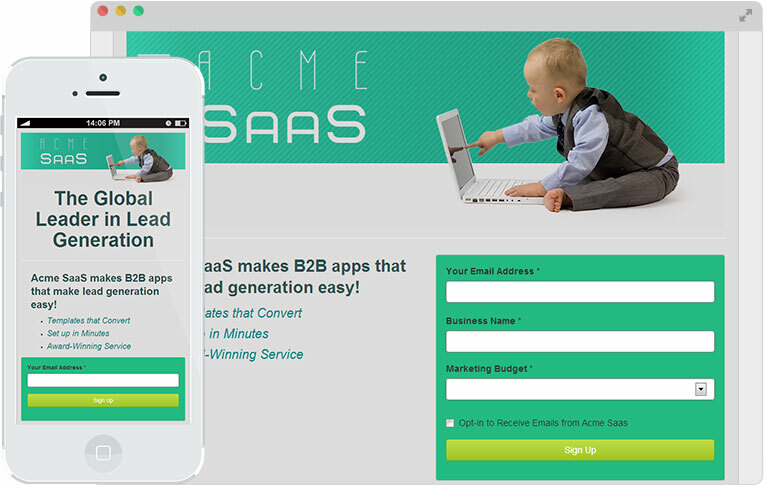 By adding a second CTA next to the body of the landing page of the offer they maximized their page’s conversions. Put your CTA in a relevant place on your landing page. Don’t hide it in the sidebar. You want your CTA to be noticed. We’ve all heard that you should place your CTA above-the-fold so it’s seen - but take a second to think about the fact that your visitors want to learn a little about your offer before they convert. There’s no solid answer as to whether or not you should place your CTA above-the-fold. Remember to test its placement (and don’t hide it in a corner of your landing page). Landing Page Design Tip #7: Limit your number of form fields. 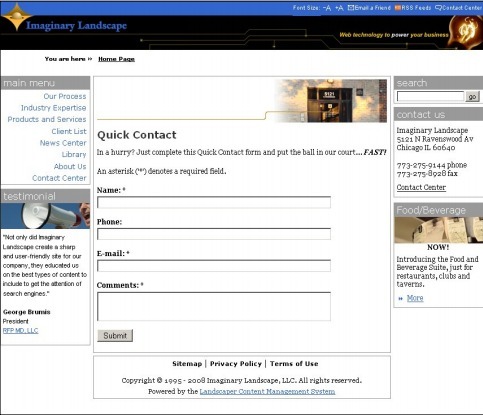 Your landing page’s form should only include fields that ask for information you require from your leads. Many different studies come to the same conclusion - less means more. The less form fields you require the more leads you will collect. Now that’s an intimidating form! Thankfully they decided to test a variation that had 4 form fields (instead of 11). The variation with a reduced number of form fields increased conversions by 120%! Obviously depending on the offer your form fields will differ. but try to keep your form fields down to 4 or less if possible. Don’t include form fields you don’t need. Landing Page Design Tip #8: Test a 2-step opt-in form. You know how forms work on landing pages. But what’s a 2-step opt-in form? It sounds complicated, but it’s not. It actually de-clutters your landing page. 2-step opt-in forms appear in place of a regular form on a landing page. They often appear with just a description and a CTA button. When people click on the CTA it then brings up an opt-in form popup. People then fill out the form and press the “submit” button and they’re done. So why would you want that extra step? Well, as it turns out 2-step opt-in forms increase conversions. Google it and you’ll find tons of case studies that preach the 2-step opt-in process. It's one of the conversion optimization techniques that works for a variety of landing pages. For example, InvestorCarrot increased their conversions by 46% the first time they implemented this tactic. Two-step opt-in forms are easy to create. 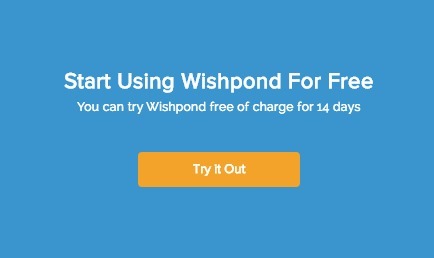 For example, if you were to make one with Wishpond you would create a landing page as per usual, and only have a CTA in your landing page form, no fields. 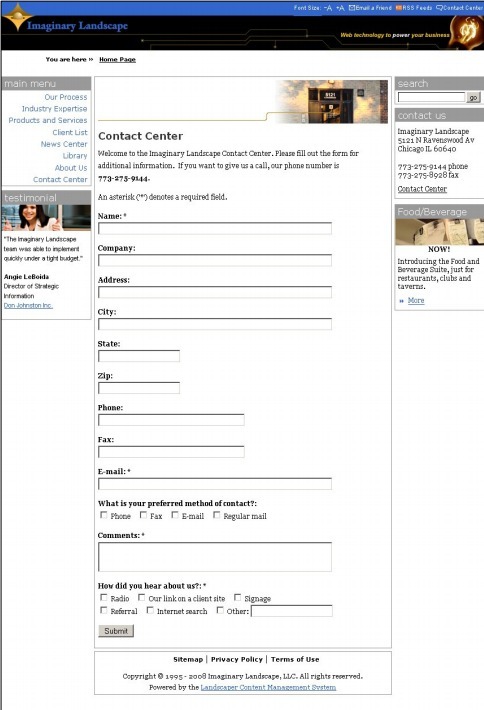 Tip: Make sure that the second step of your opt-in form looks similar in design to your landing page, or else people may close the form, thinking they have navigated away from your offer. 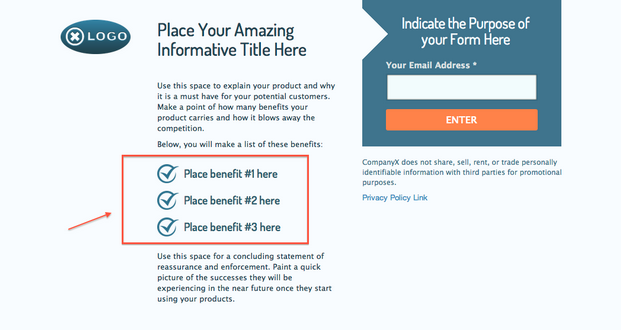 Landing Page Design Tip #9: Use auto-focused form fields to direct visitors attention. An auto-focused form field pre-places a visitor’s cursor (the flashing vertical line which indicates a selected field on any website) in a form field. 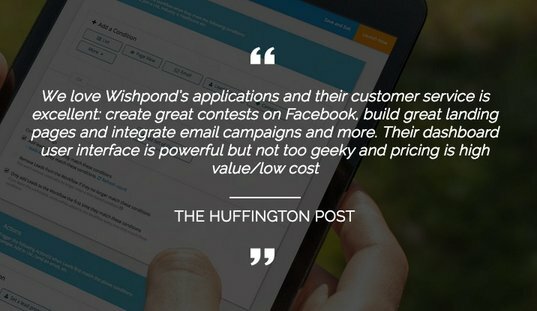 I’m going to give you an example of a test we ran on Wishpond. When someone navigated to our signup page, the field for them to fill out an email address was automatically selected - they don’t have to click. All they have to do is start typing. Can you see the line in the first form field below? The variation beat out the control by 56%. And remember this was on our signup page! This test was hugely influential on our bottom-line. This feature converts better because autofocus form fields get your visitor’s attention and make a potential lead’s step to conversion easier. Landing Page Design Tip #10: Use social proof to increase trust. Social proof shows your landing page visitors that their peers (experts, friends, customers, etc.) recommend your product/service. It can come in many forms, such as a customer review/quote, a rating of your product, logos of your current customers, and more. Social proof from current users of a product or service seem to be particularly effective, especially if they include some level of storytelling. “User social proof is particularly effective when it involves storytelling. 63% of consumers indicate they are more likely to purchase from a site if it has product ratings and reviews. The fact is, you need a form of social proof on your landing page to help make your visitors convert. Landing Page Design Tip #11: Sell the benefits, not the features. Why a benefit list? Why not features? Benefits tell your users what your features can do for them. Norweigan cruiseline Hurtigruten increased online bookings 193% with the addition of a benefit list (it only took them 5 minutes to put together). Your benefit list doesn’t have to be massive, either. I suggest including 3-5 benefits on your list. And this isn't require a daunting change in your landing page's design. Landing Page Design Tip #12: Optimize your landing page design for mobile. As of April this year, mobile-usability has become a ranking factor in search. This means if your website isn’t mobile-friendly it can hurt your SEO. And I’m not just talking about mobile-optimization, it’s more complicated than that now. This is definitely a setback for businesses, but will end up helping both you and your leads. 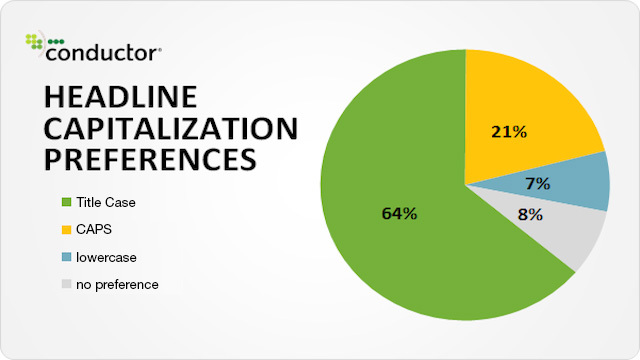 It turns out that 40% of users have turned to a competitor’s site after a bad mobile experience. That number is too high to ignore. Mobile phone users care about landing page design. I don’t know about you, but I can agree with the 40% as my tolerance is low for sites that I can’t easily navigate on my phone. It’s been shown that a mobile-friendly site can double your conversions. The easiest way to optimize your landing page for mobile is to use a landing page builder that already has mobile-optimization built in, and one that allows you to edit the mobile version of your landing page. Landing Page Design Tip #13: Don’t include a navigation bar. This landing page design strategy is definitely the easiest to implement. Navigation bars are great for navigating your website, but not your landing page. When it comes to designing a landing page it should have a clear focus - your visitors should be clicking on a singular call-to-action. Navigation bars are the best feature to distract potential leads and throw them off their course. In this a/b testing case study, yuppiechef removed their navigation bar from their landing page. This increased conversions by 100%. It’s pretty simple - if you currently have a navigation bar on your landing page, just try removing it. I’m sure you will see an increase in conversions. 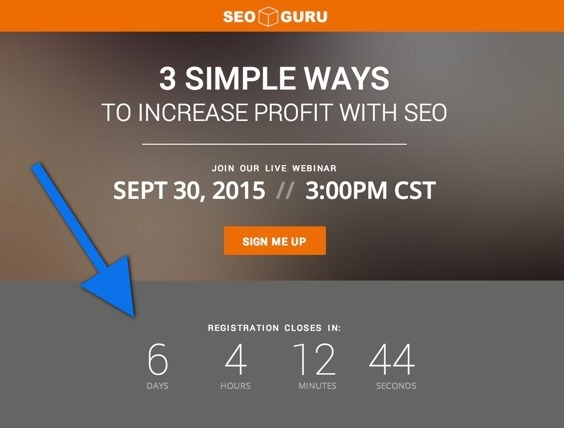 Landing Page Design Tip #14: Create urgency with a countdown timer for special offers. Urgency is one of the most important aspects of landing page design. Ever heard of FOMO? Your potential lead has a fear of missing out, so they convert. This tactic works especially well for offers that are only available for a limited time. Marcus ran an a/b test based on creating urgency on a landing page. His control page had a CTA that said, ‘download this contract.’ the variation only had two changes, a countdown timer and the addition of the word “now” to the CTA copy. It turns out the variation had increased conversions of 147%. Tip: Remember to keep the countdown short to enforce urgency. A countdown that’s set for 40 weeks negates the point of having a countdown at all. 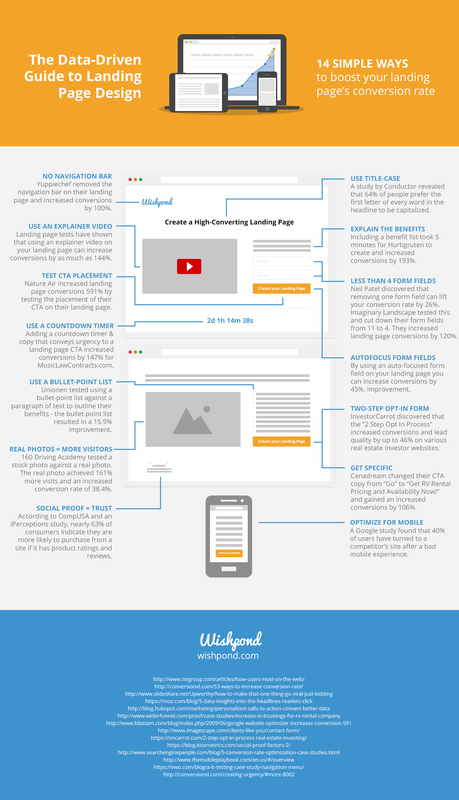 I hope you’re able to test some of these landing page design strategies and find that they increase your conversions. Have you already tested any of these ideas listed above? How well did they convert?